Cars are not only vehicles that can take you where you desire to go, but they’re also considered as computers on four wheels. The OBD2 is a system required to be incorporated in all car models. Today, all cars have this system in them. It has lots of functions, and it allows you to know the general state of your car by using an OBD2 scanner. Onboard Diagnostics 2 or OBD2 is a standardized system in trucks and cars. It’s mainly used for self-diagnostics. The OBD2 software regulates and monitors your car’s main functions. It can send commands to different systems to maintain your car’s overall health. It can also self-correct any anomalies in fuel mixture and vehicle ignition. To understand OBD2’s gathered data, car owners and technicians use an OBD2 scanner. This device can present data about a vehicle’s engine RPM, coolant, and air temperature, camshaft and crankshaft position, throttle, and road speed. There are two kinds of OBD2 scanner that you can find in the market. OBD2 code readers are no-frills and inexpensive gadgets that can clear and read codes from your vehicle. It’s indeed cheap, but it has some limitations. Specifically, it lacks information on certain manufacturer codes, and it cannot access some types of data. Scan tools are more expensive than code readers, but this device has various features that are not incorporated in the readers. It can provide extensive access to recorded and live data. It can also read manufacturer-specific codes and enable advanced troubleshooting options. HOW DOES OBD2 SCANNER WORK? The way an OBD2 scanner function depends on its type. If your scanner is a code reader, then it can only clear and read codes. If you bought a scan tool, then it can view live and stored data and do lots of other functions. All OBD2 scanners offer basic functionalities. But some scanners are also designed to check pending codes, provide access to more information, set up PIDs, and customize a list of parameters. 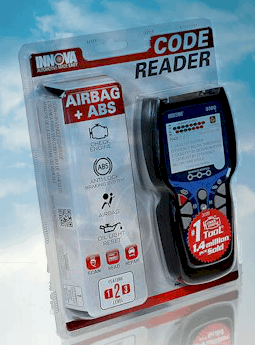 Most car owners enjoy using an OBD2 code reader even if they don’t know what to do with it. They expect that the OBD2 system can handle all anomalies without their physical intervention. Even though this exceptional car system has self-correct functions, it still cannot solve all your car issues. This is when an OBD2 scanner comes in. This device enables you to know if there is something wrong with your car. The so-called check engine headlight or malfunction indicator light (MIL) is OBD2’s standard language. When this indicator is on, it means that the Powertrain Control Module (PCM) cannot decode an error message sent by a particular car sensor. The PCM warns you that there’s an anomaly with your vehicle. 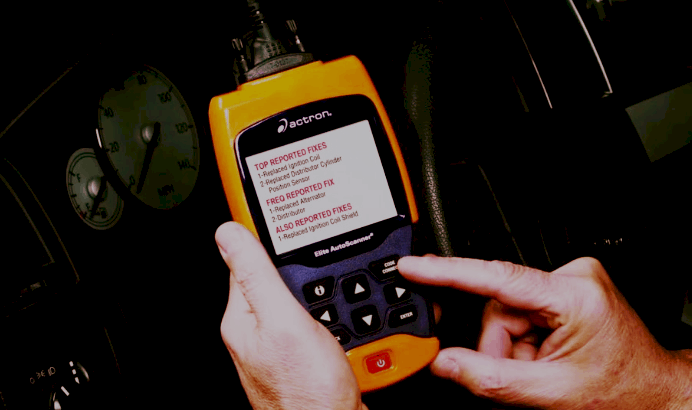 Whether the code is a signal for loss of power or increase in fuel consumption, the OBD2 scanner can read it. The PCM stores the error message, and then, the scanner presents the trouble-code to you. This device is easy to use. It’s true that different models offer various functions; however, the general process for utilizing an OBD2 scanner is simple. All you have to do is to follow the procedure below. 1). First, you have to turn off the power of your vehicle and plug the scanner into the OBD2’s data link connector located under your car’s control panel. Since OBD2 is a standardized system, all OBD2 scanners utilize one type of connector called SAE J1962. The scanner functions after you insert the plug into the OBD2 system of your vehicle. Some scan tools include modules or key that will amplify the universal connector to interact or access OEM-specific controls and data. 2). Second, switch your car on and wait for the OBD2 scanner to boot up. If it doesn’t automatically initialize, press its power button. 3). When the scanner is ready, input all required data. This includes information about your car’s model, type, engine, Vehicle Information Number (VIN), etc. 4). After that, you have to allow the device to scan or read your vehicle’s diagnostic system. If you don’t know how to do this, then check the scanner’s manual, and look for the button that can initiate this process. 5). After scanning all of your car’s systems, the OBD2 scanner will provide several codes or single trouble code. You can either write these codes down or transfer all the data to your laptop or mobile phone using Bluetooth. 6). Check these trouble-codes in the scanner’s manual to know what each means. Most manuals only provide basic codes. If you can’t find the given DTC code, then check it on the internet. There are lots of supplemental codes for various vehicle models online. 7). When you’re done recording the codes, switch off your vehicle, and unplug your OBD2 scanner carefully. OBD2 scanners are not fragile, and some models are extremely durable. But, if you don’t take caution in using it, your OBD2 system or OBD2 scanner can malfunction. Here are some do’s and don’ts when using this device. * The procedure above is a comprehensive guide for using any OBD2 scanner. However, it’s recommended to read the manual that comes with your scan tool. * When connecting the universal connector to the OBD2 system, always be gentle. The 16-pinned plug is extremely delicate. The pins may bend if you plug carelessly. * Always turn your car on when you’re using the scanner so that you can avoid corrupting the OBD2 software. Having your car repaired or checked in automobile repair shops is more expensive than doing the checkup or repairs yourself. Not all car issues are severe enough that you’ve to deliver your vehicle to a garage, and the OBD2 system cannot solve all minor issues. 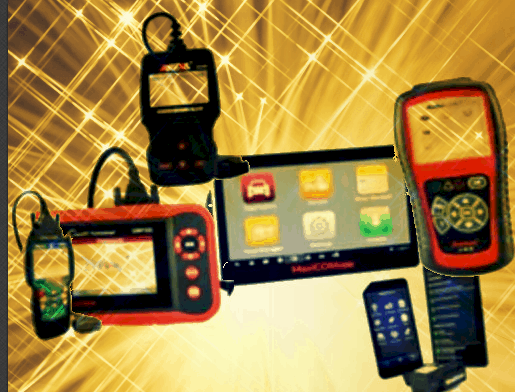 Therefore, whether you’re a bit knowledgeable in troubleshooting vehicles, or you possess skills in repairing automobiles, owning an OBD2 scanner can help you save money and time.